This one replaced their 10YO in 2008, and apparently it has been an improvement to their core range. 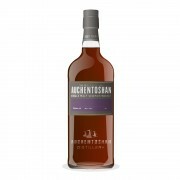 Auchentoshan 12 yrs is matured in 80% re-fill and 20% first fill sherry wood. For my taste, this one's an okay dram. Light like Auchentoshans tend to be – but manages to offer some nice flavors without being too stingy. Nose: Honey and barley dominate gently. Delicately nice and sweet. Taste: Sweet with barley and tropical fruits. There's some lemony feel. Hints of toffee stays int he back. Finish: Nice length. Ginger is the main note. Some dryness and a stingy feel. Balance: Very delicate single malt with character. 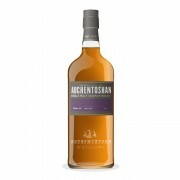 Auchentoshan 12 Year Old Mmmmmmmmm... nice.... GOAL!